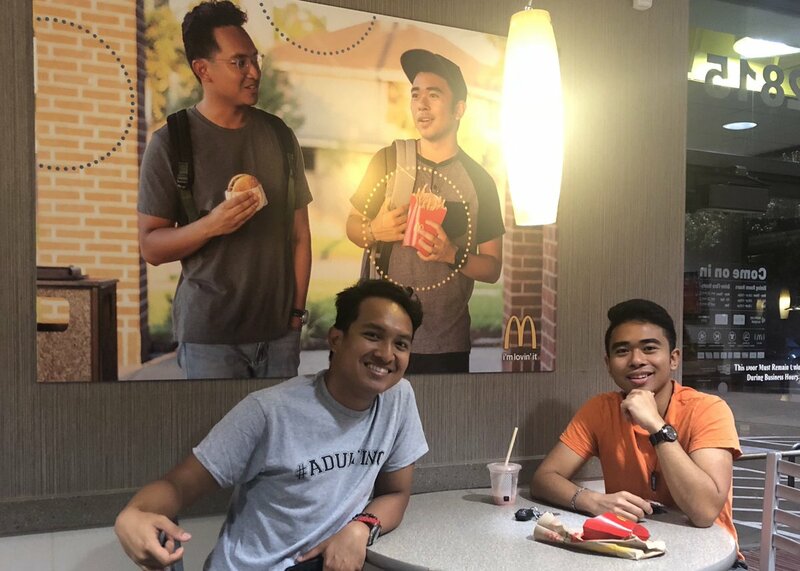 Jevh M and his mates noticed that there were no asians among the happy, smiling subjects of McDonald's corporate wall art. 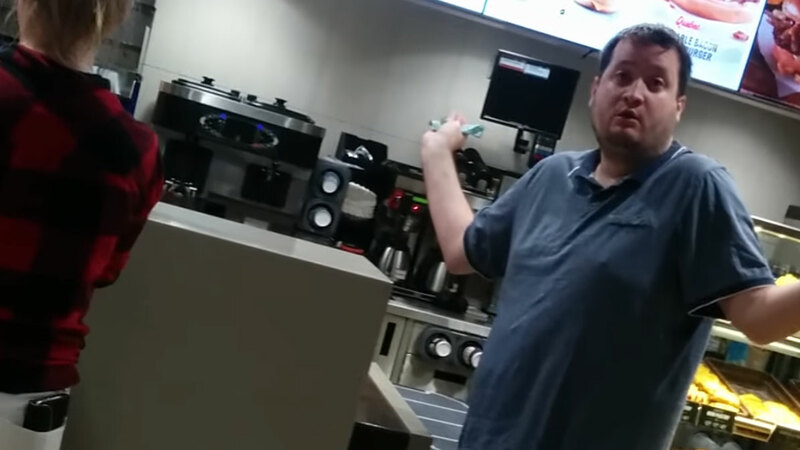 So he created a professional-looking fake with himself and one other, snuck it onto a blank wall at a local McDonald's, and reports that it is still there 51 days later. 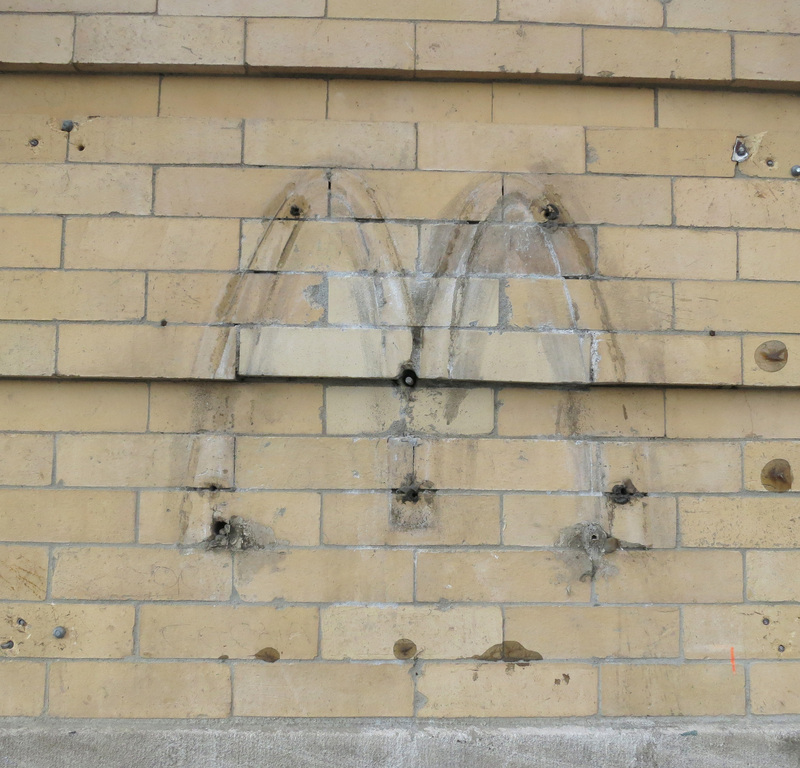 McDonald's advertising has been baffling before, but this one is all kinds of weird. 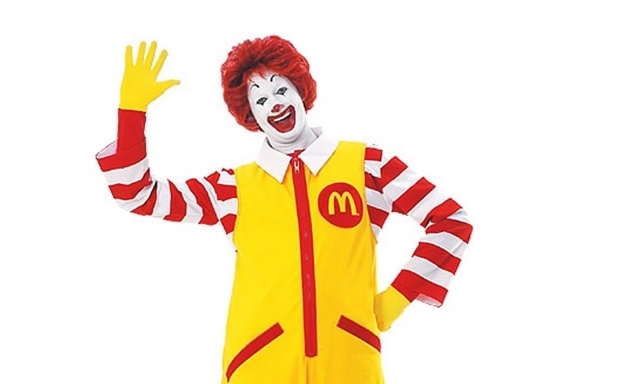 McDonald's is to cut a certain high-calorie item of junk food from the Happy Menu marketed to kids: cheeseburgers. 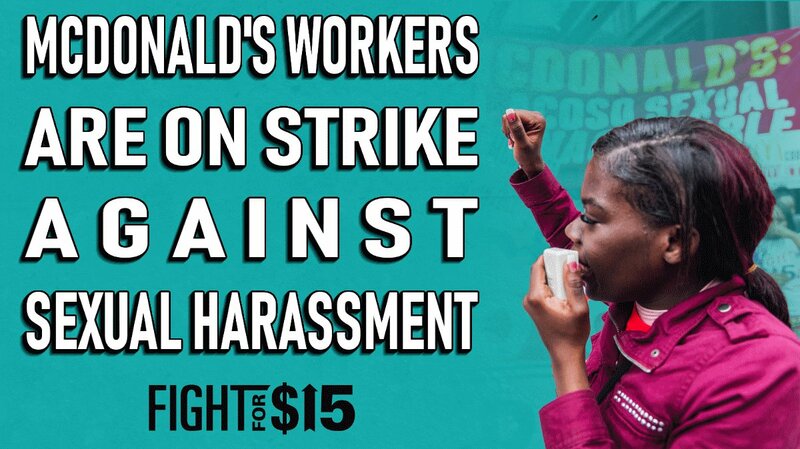 “We hope these actions will bring more choices to consumers and uniquely benefit millions of families, which are important steps as we build a better McDonald’s,” Chief Executive Officer Steve Easterbrook said in the statement. 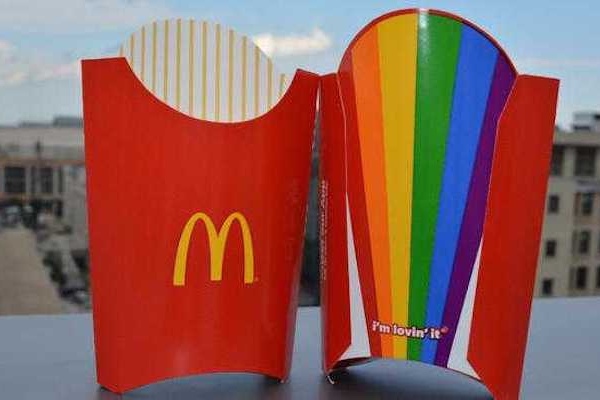 After child obesity rates in the U.S. almost tripled since the 1970s, McDonald’s is seeking healthier ingredients while trying to boost its image with more environmentally friendly packaging. 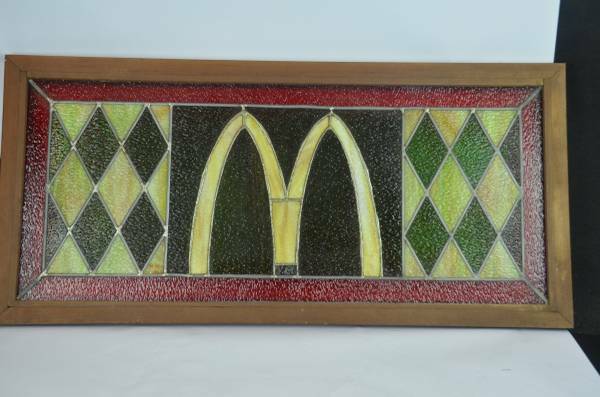 Have you ever looked up at a small window in your Craftsman home and thought to yourself, "well, that's nice, but it'd be better if it had the golden arches of the McDonald's Restaurant logo on it?" Well, a Craiglist seller in Pittsburgh has the olive and burgundy transom of your dreams. I purchased this window at an auction over 30 years ago in Meadville PA after the restaurants underwent a restoration. It is stained glass with a wood frame. They were used as dividers between the booths. Excellent condition -- has always been indoors. 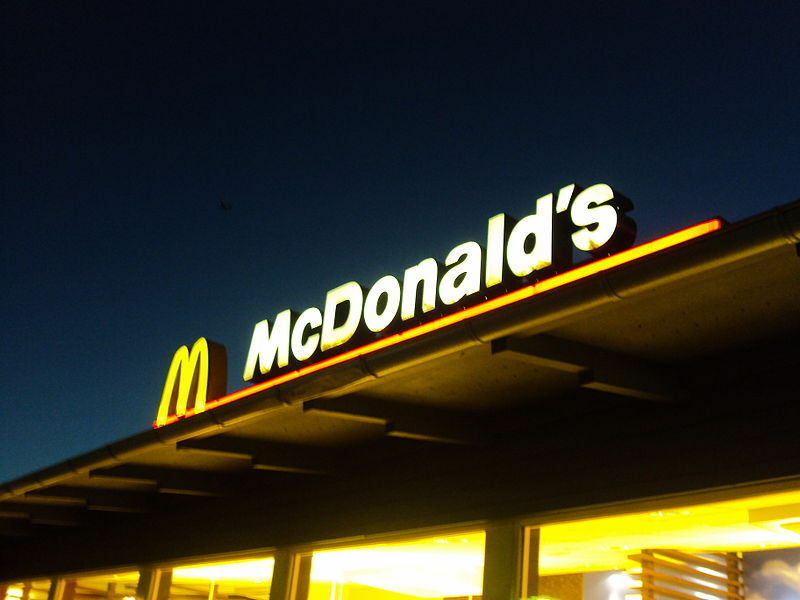 An 8-year-old boy in Ohio had a craving for a Big Mac. Only problem was that it was 8pm and his parents were already asleep. So the resourceful lad went onto YouTube, spent five minutes learning how to operate a car, and then invited his 4-year-old sister to take a spin with him for a meal at McDonald's. Miraculously, he maneuvered the mile-and-a-half drive within the speed limit and didn't hit anything along the way. 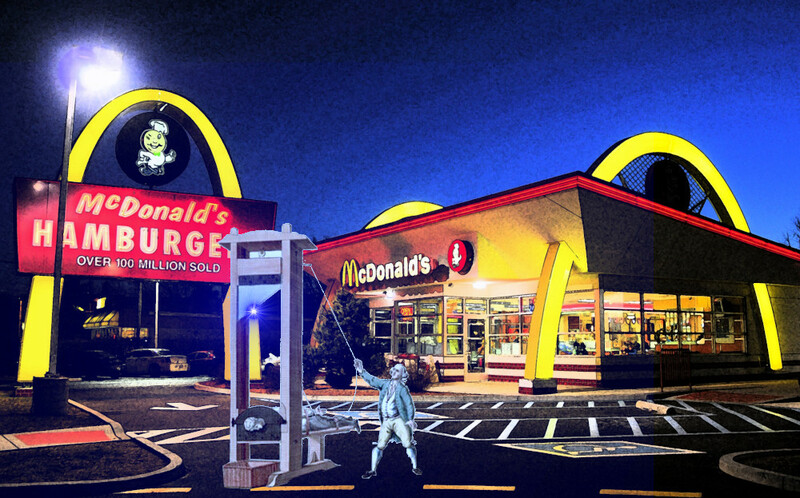 He then pulled into the drive-thru window, where the McDonald's employees thought it was a joke. McDonald’s workers said they thought they were being pranked when he drove up to order a cheeseburger with money from his piggy bank. “The workers thought that the parents were in the back, but obviously they weren’t,” Koehler said. 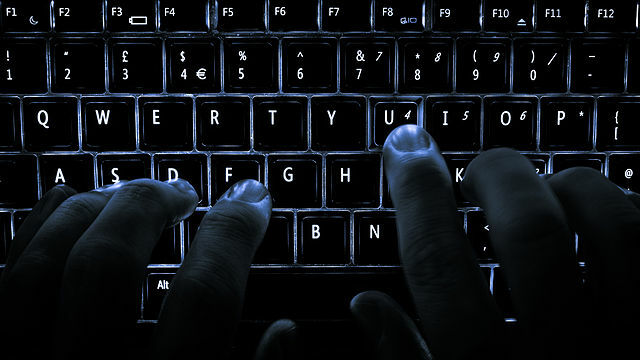 Police said the 8-year-old burst into tears when he learned that he did something wrong. He told officers that it was his first time behind the wheel. The boy and his sister were able to enjoy their meal while they waited for their grandparents to pick them up. No charges were filed. 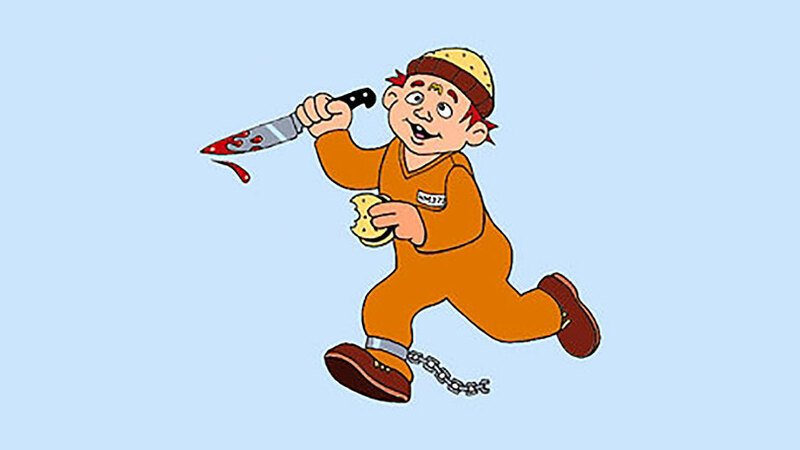 McDonald's will not be making burgers called "Ron's Creamy Surprise" or "Rektal Prolapse"
McDonalds is testing a "cleaner-label" version of its legendary Chicken McNugget, reports Peter Frost, with an eye to replacing the current model nationwide in time for the Summer Games. 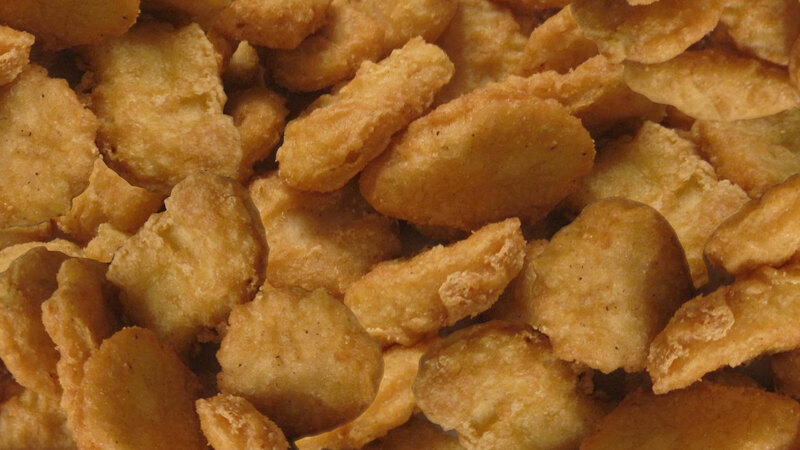 If you're eating in Portland, Oregon, you may already have eaten the upgraded McNugget, which has 32 ingredients and a "simpler recipe," according to the restaurant chain. It declined to provide the full list while it's in beta, but one presumes it includes chicken. The cleaner-label McNuggets come as McDonald's combats the perception that its food is overly processed and laden with preservatives. Other restaurants and packaged-food companies also are rushing to respond to changing consumer tastes. 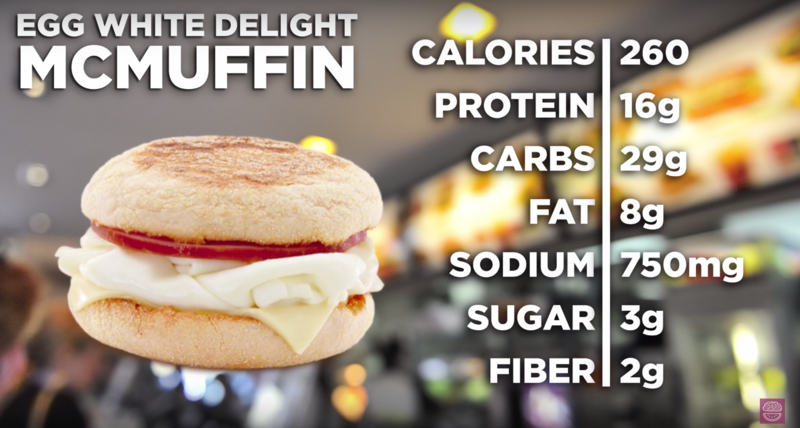 Last year, McDonald's unveiled ads on TV and in stores that played up the fact that its Egg McMuffin breakfast sandwiches are made with freshly cracked eggs. It also ran a marketing campaign in late 2014 called “Our food. Your questions,” in which it enlisted former “MythBusters” co-host Grant Imahara to debunk myths surrounding McDonald's food. 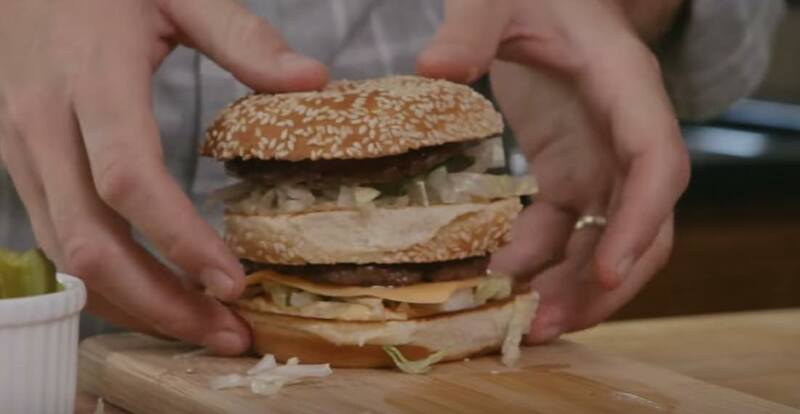 It's a few years old, but if you missed McDonalds explaining not only how to make a Big Mac but disclosing the specifics of its "secret" Big Mac sauce, you'll enjoy Mickey D Executive Chef's Dan Coudreaut's video.